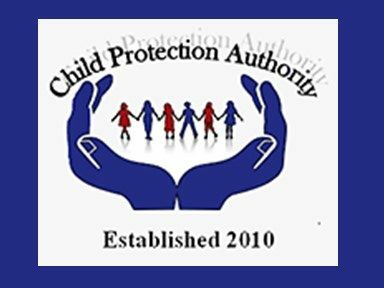 Dear parents, teachers and students, the Child Protection Authority (CPA) takes this opportunity to wish you a happy and productive new academic year. While a new school year often means new school supplies, uniforms, classes and teachers, it can also mean a new start and a chance to improve relationships between teachers and students, parents and children, parents and teachers, etc. This can be achieved through positive parenting, positive education and positive peer relationships. The following are some practical tips. Maintain open communication with your children so that they can feel free to discuss their dreams, cares and fears with you. Guide them, rather than command them. Lead children down the right path by your positive example. Clearly explain what you want them to do instead, and the benefits. Do all in your efforts protect your children from abuse, neglect and abandonment. Principals and teachers have a unique and vital role in shaping the minds of the nation’s children; therefore, we encourage you to blend academic learning with character-building and well-being. Support individual students to flourish. Motivate your students, help them feel understood and respected. Prepare them with life skills such as optimism, resilience and mindfulness amongst others. Focus on specific skills that assist students in making sound decisions and having a healthy lifestyle. Take your responsibility as a mandated reporter seriously; report all actual and suspected cases of child abuse and neglect, as children cannot learn effectively if they have to battle with abuse. One of the main reasons why some children love school is because it is where their friends are. However, friends can either have positive or negative influences. We encourage students to be the friend that has a positive influence. Be honest and polite. Being respectful and considerate to others has many benefits to follow in every stage of life. Respect others’ boundaries and property. People are protective of their bodies and things that belong to them. Treat others and their property with the same respect you would like others to treat you and your property. Make this school year the most productive one yet. Read ahead. Complete your assignments on time. Manage your time wisely. Speak up and speak out against negative peer pressure, bullying and other forms child abuse. No child has a right to endure any form of abuse. As each of you go about this school year, there will be good days and not-so-good days. When those not-so-good days come around allow your mind to see the good in every situation. Let’s all do our part and work together to make the ‘school days’ of all the children of Grenada, Carriacou and Petite Martinique enjoyable ones. If you have any questions or concerns about child protection in your school or home, feel free to contact our office 435-0293, our hotline 677, or our emergency number 533-5990. Again, have a happy new school year! Have fun! Smile! Laugh! Learn! We look forward to seeing you during our school visits.